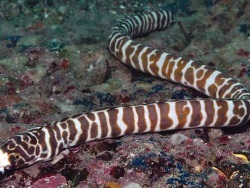 One of the most interesting conger eels is the garden eel. 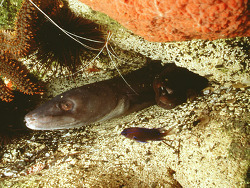 This eel burrows into the sand at the bottom of many tropical seas. Garden eels are small and have huge eyes. They also have very small nostrils. They rely on their sight and not their smell to capture their food. They have good eyesight and a bad sense of smell. 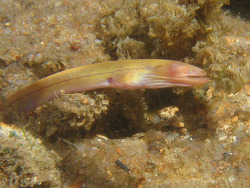 Garden eels live in large groups in underwater sandbanks. 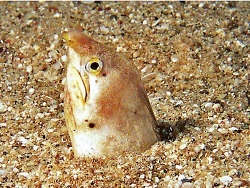 Each eel has to make its own burrow that goes straight down into the sand. They dig these burrows with their tails. 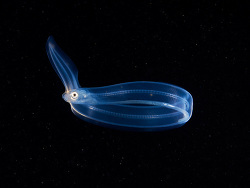 They do this with a gland in their tail which secretes slime. That makes the sand stick together. That is why the burrow does not collapse. 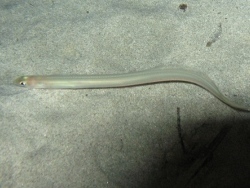 The garden eel eats without leaving its burrow. It keeps its tail in the burrow and sticks the rest of its body out. When it gets scared, it takes its whole body into the burrow. It closes the burrow with a mucus plug to protect itself. 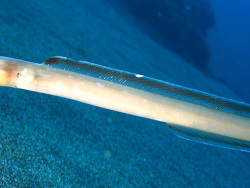 There are a lot of eel species out there that we have not found. Scientists go looking for them every day, and they have found many more species than we can talk about. 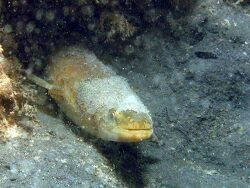 Congrogadus subducens or the Carpet Eel Blenny is a vary hardy, its coloration varies greatly and is typically mottled in green and brown shades, it will also camouflage with its surroundings. 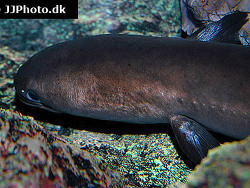 The Green Wolf Eel lacks the pigment in the sensory holes on either side of its head gives it the appearance of having ears. 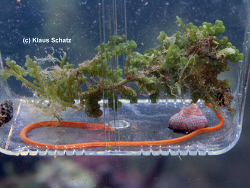 Congrogadus subducens grows to a maximum length of around 18 inchs witch adds to its popularity for the home aquarium. 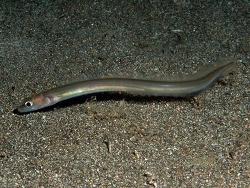 Eels are heavy eaters and also produce a great deal of waste. Because of this, a well-established aquarium and excellent water filtration along with water changes is highly recommended. 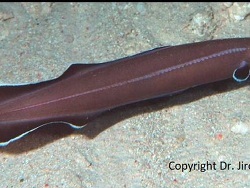 The Carpet Eel Blenny is not really an Eel or a Blenny. 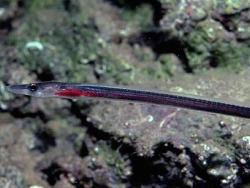 It is a pseudochromid (Dottyback). 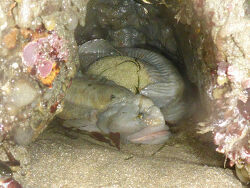 Its common names include Eared Eel Blenny and Green Wolf Eel. Its body is a brownish color with highlights of green.